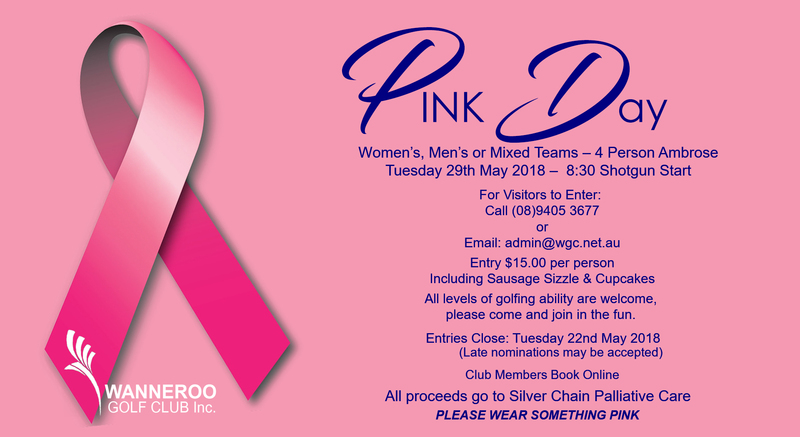 The Wanneroo Golf Club Pink Day is on again on Tuesday 29th May 2018. 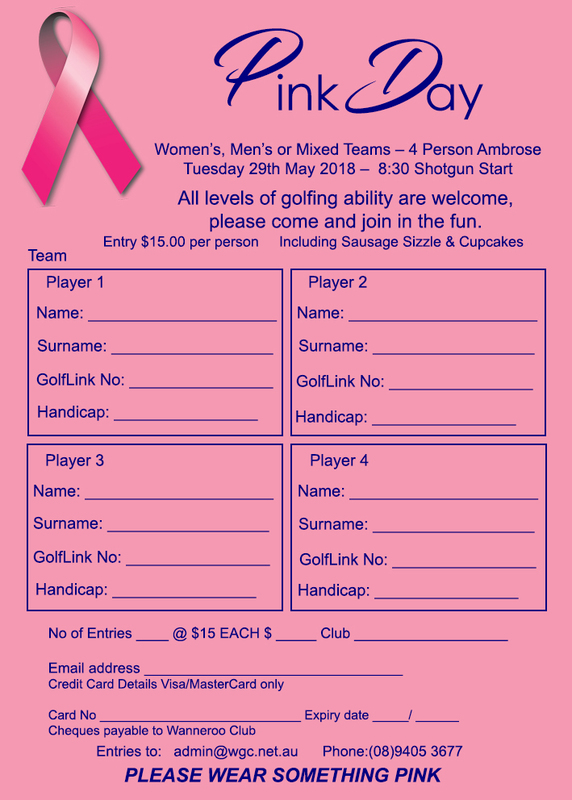 Entry $15.00 per person including sausage sizzle and cupcakes. All proceeds go to Silver Chain Palliative Care. Please click here to view the flyer and registration form.